Recently, I was making a mad dash through the campus library, trying to scrounge up enough interesting books before they closed for the evening. 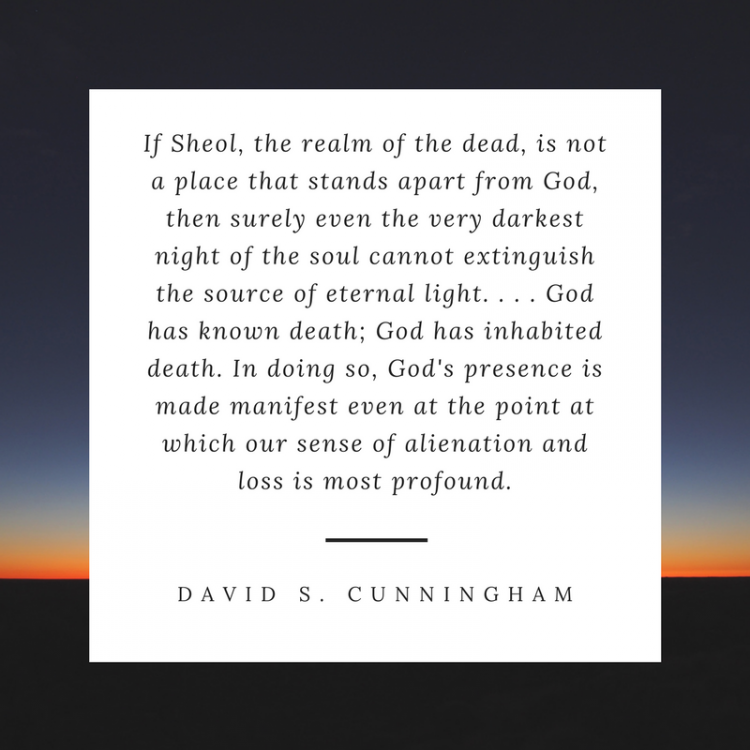 My eye caught this title by David S. Cunningham: Friday, Saturday, Sunday: Literary Meditations on Suffering, Death, and New Life. I was drawn to the title because, like Cunningham, I have come to see life experiences through the lens of the holy triduum. As humans, we have an instinctual need to know what time it is, a compulsion to orient ourselves within the often invisible coordinates of temporality. Unless we are on vacation (and even then! ), most of us grow anxious if deprived of a clock for too long. But sometimes we have need of a different kind of timepiece. We don’t want to know the time o’ clock or day o’ week–we want to know the time of our lives and souls. Maybe we feel we are at a standstill, maybe we have gotten so lost on a deserted path of the mind that we’ve lost all sense of salvific time. Maybe we no longer know whether we’re coming or going or rising or falling or believing or doubting. We need, in those seasons, a master clock to which to wind our sense of spiritual time. I find that kind of timepiece in the Friday, Saturday, and Sunday of Holy Week. I think they comprise a kind of clock or calendar for the different cycles of salvation in my own life. Am I in a time of cross-bearing, tomb-dwelling, or resurrection-beholding? The Holy Friday of the heart stands for times of acute suffering. Whether the suffering is rooted in an external event (e.g. death of a loved one) or internal struggle, the suffering is raw and near and unalterable. The Holy Saturday of the heart comes after the rawness of suffering has subsided a bit, but the light of life has not yet come. Holy Saturday represents a complex and inter-layered season within us. It may be a time of emptiness and stagnant despair, as the original Holy Saturday was experienced by Christ’s followers. It may be a time of hope gently pressing into our despair, as Christ’s harrowing of Hades becomes actualized in the depths of your personal suffering. It may also come as a time of preparation, when we stand with one food still rooted in despair but another ready to behold future glory. It may also just feel like a temporal Bermuda Triangle, with no clear path forward and little clarity about how you got here in the first place. The Resurrection Sunday of the heart moves us into a place of new life, light, clarity, connection, peace, or comfort. It may break in on our despair suddenly, as rays of sunlight through the clouds, or it may come about gradually. 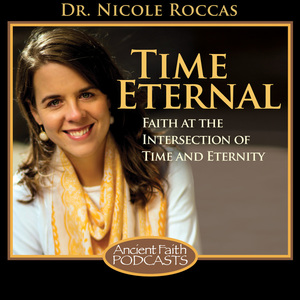 It may be the natural response to changing outward circumstances–a negative biopsy result, a new job–or it may just be an unbidden movement of the heart, the reality of God’s presence beside us even as we walk through the valley of the shadow of death. Much has been written by holy men and women over the centuries about the “dark night” or “desert” of the soul. As descriptive of spiritual alienation as such terms are, when I am actually in a kind of desert, locating myself in these concepts leaves me feeling more bewildered and disoriented than before. Deserts and darkness are so… Landmark-less. Change-less. I choose to find myself, rather, in the work of Christ that He enacted and continues to enact in this world, in my heart. In doing so, I don’t mean to say that my “Holy Fridays of the soul” are on equal footing with His–of course not. But like St. Paul, I desire (in my better moments) to “gain Christ and be found in Him” (Phil 3:8-9)–in His life and in His times. I desire for the threefold arc of the salvation He brought about for us to be the threefold arc of my life–even the gray, shameful, senseless parts of it. One of the comforting things about considering these same “dark nights” against the backdrop of the holy three days is that doing so positions us, immediately, within a foward-moving narrative–and not just any narrative, THE narrative. The story of death and resurrection, we believe, that undergirds all of reality. We are teleological, ends-oriented creatures. This is why we lean forward to hear the punchline of a joke and watch movies all the way until the end. We yearn for culmination, we yearn to be moving toward something–deep down, we were made for theosis, fruition, Life. Even the best moments in life–moments we wish could last forever–contain within them a sense of growth, increasing connection or movement, and thus are not strictly timeless. Think, for example, of the first time you laughed with your spouse or child. What made that moment so memorable was that you were somehow increasing in your movement toward one another. The sense that that moment was leading up to something bigger, more intimate. Spiritual struggle is hardest when it seems to have no end, when there seems to be no change, or when it appears to have derailed us from any sense of forward- or toward-moving time. Of all the days we could possibly be in, I think Holy Saturday is the hardest. 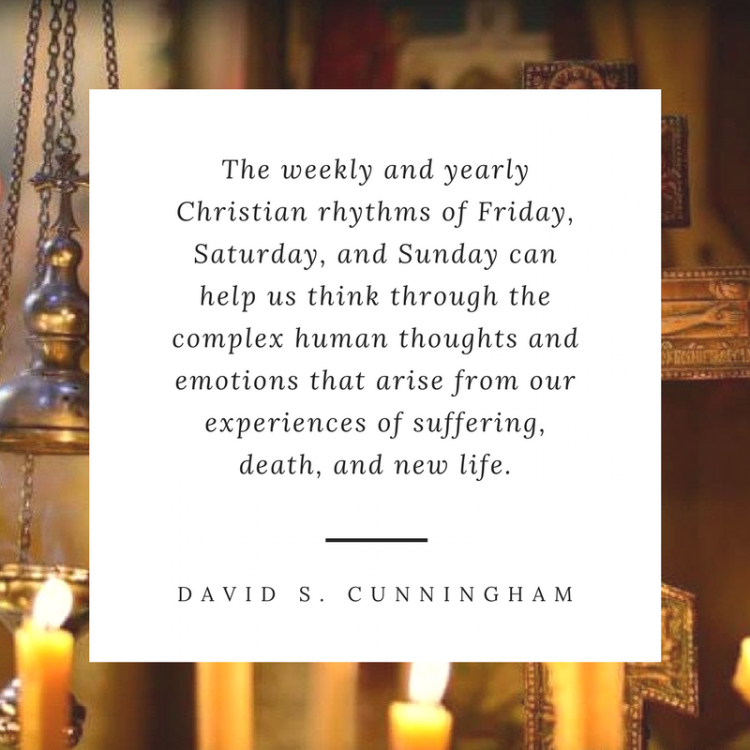 When a Holy Saturday season comes to us–cavernous, restless, unyielding–simply being aware of that reality may not be much comfort. Except that Christ has been there and is there, and His own Holy Saturday had meaning and purpose (and an end!) that only became clear later on in the story. And from His Holy Saturday, we learn that hope can feel a lot like darkness, sometimes. It can feel a lot like a harrowing, a splitting, a dying, an emptying. And we learn, too, that a Day of rest after all the emptying and dying awaits us–just as it awaited the Creator, just as it awaited Christ, so it awaits us. In the meantime, may God give us hearts and eyes to encounter all of the smaller, subtler Holy Sundays that glimmer at us through the veil. 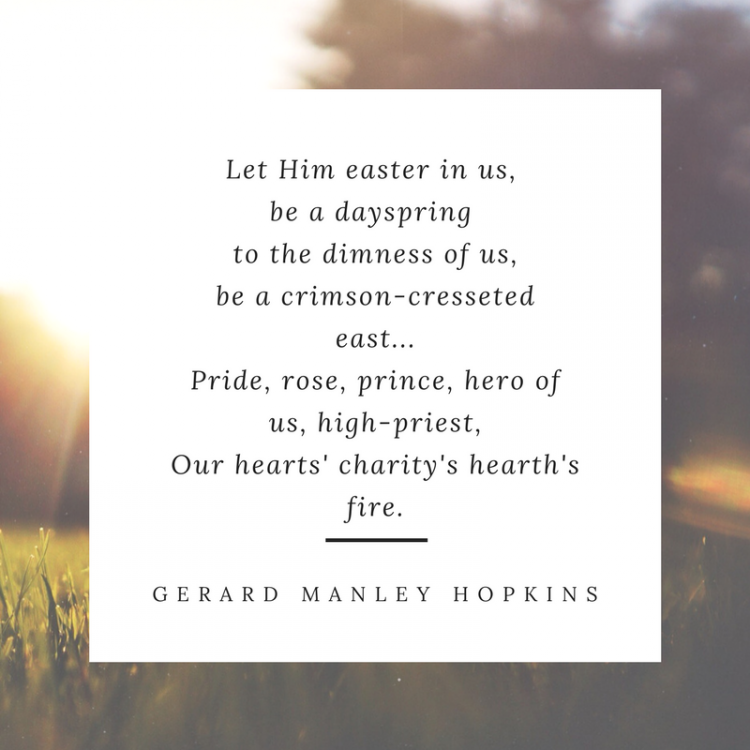 May He, as Gerard Manley Hopkins once put it, easter within us. Cunningham’s _Friday, Saturday, Sunday_ contains a number of poignant literary examples and reflections that help to better consider these different seasons in our life. This excerpt from Hopkins was my favorite. 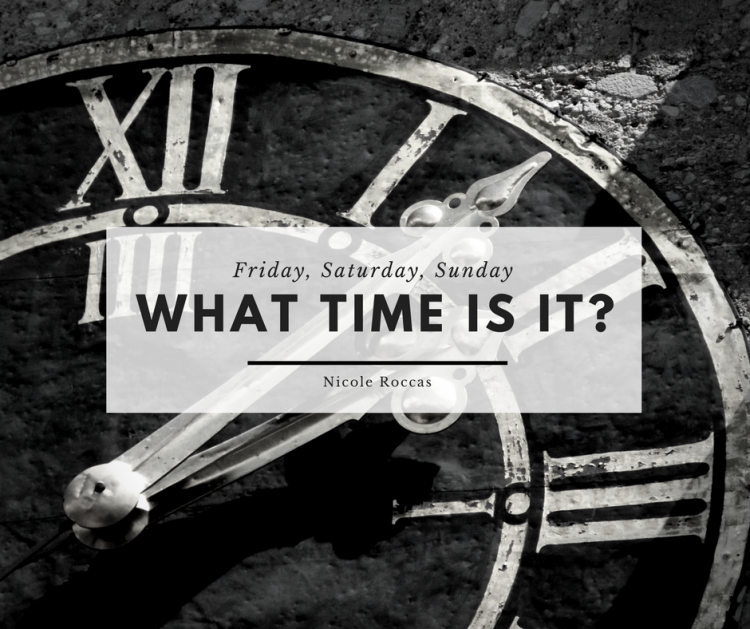 What time is it for you? Let me know below or on Facebook. I’d love to hear from you!